One of the oldest natural breeds of longhaired cats, the Turkish Angora displays a fine, silky coat, long graceful body, and quick intelligence. 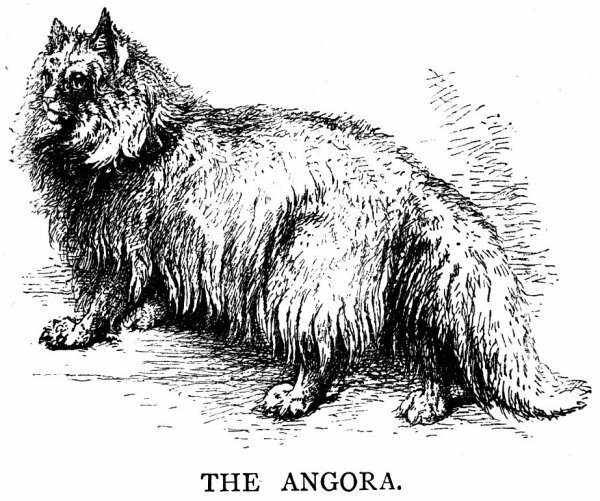 The longhaired cats that became known as Turkish Angoras may have originated in Western Asia as descendants of one of the original cat mutations that resulted in long coat, and traveled with caravans along trade routes to Turkey. In any case, Turkish Angoras have been known in Turkey and the area surrounding the Caspian Sea for centuries. 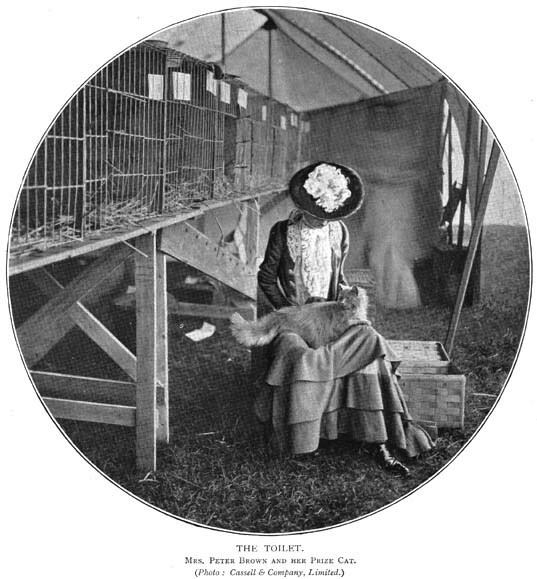 From the book Our Cats and All About Them, by Harrison Weir, F.R.H.S., President of "The National Cat Club", published by Houghton, Mifflin and Company, of Boston and New York; The Riverside Press, Cambridge, 1889. Turkish Angoras were highly regarded in Turkey and the area around Lake Van. These treasured cats were brought to Europe as gifts to favored visitors and dignitaries, where they became popular in the 16th Century. The capital of Turkey, formerly known as Angora, gave its name to these special cats, and they are regarded as a national treasure in that country. A breeding colony was established in the Ankara Zoo in 1917 to preserve and protect this special breed. A few Turkish Angoras were permitted to be imported in the United States starting in the 1950’s and 1960’s. Thanks to the devoted work of the early Turkish Angora breeders, the breed achieved recognition in the Cat Fanciers Association. 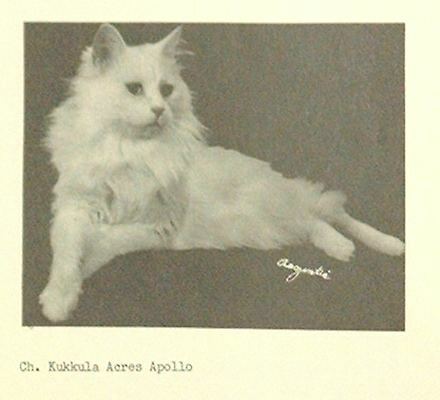 "Champion Kukkula Acres Apollo", From the book "The Turkish Angora: Revival of an Ancient Breed", by Aletha Staunton Hendrickson, copyright 1976, all rights reserved. In Russia, the story of Turkish Angoras is entwined with royalty and the turn of historical events. Turkish Angoras were known to have been brought back to Russia from Turkey during the time of the Balkan War. After the 1600’s, the Russian queen, Ekaterina II, was known to have kept Turkish Angoras in her residence .These longhaired cats were cherished in Russian households over the centuries. Much later, when the cat fancier movement began in Russia in the 1980’s, Turkish Angoras again became popular. Today, CFA and TICA sponsors cat shows in Moscow in which Turkish Angoras consistently are achieving top honors. Click the links below to visit other pages on our site.